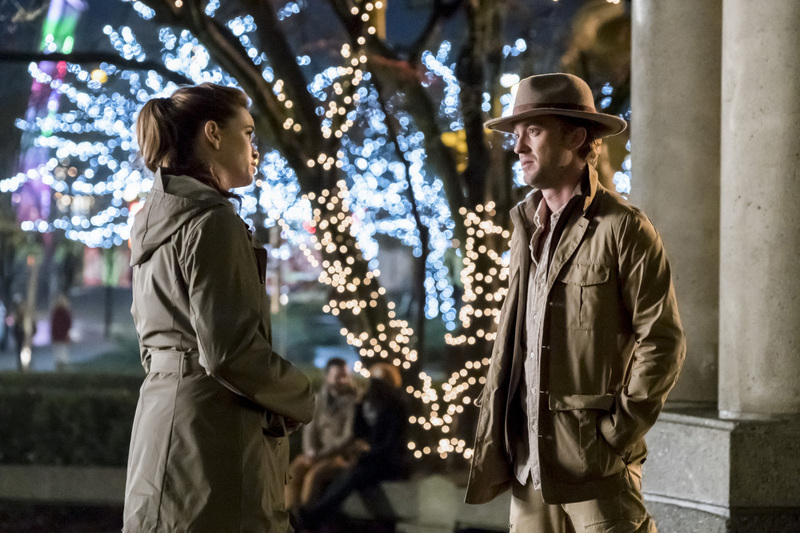 BARRY AND TEAM TRAVEL TO GORILLA CITY AND FACE GRODD – When Jesse Quick (guest star Violett Beane) informs the team that her father (Tom Cavanagh) has been abducted, Barry (Grant Gustin), Caitlin (Danielle Panabaker), Cisco (Carlos Valdes) and Julian (Tom Felton) voyage to Earth-2 on a rescue mission to save Harry from Gorilla City. 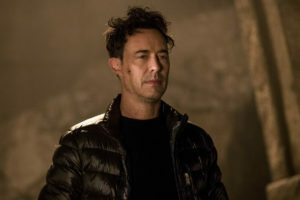 As they trek through the forest, Barry and the team are immediately captured and brought to Grodd (voiced by David Sobolov). Grodd tells them he needs their help to stop Solovar (voiced by Keith David), the leader of Gorilla City, as Solovar wants to invade Earth-1. Meanwhile, back on Earth-1, Jesse and Kid Flash (Keiynan Lonsdale) hit the streets to stop a metahuman that can control gravity, with H.R. and Joe (Jesse L. Martin) guiding them from S.T.A.R. Labs. Dermott Downs directed the episode with story by Andrew Kresiberg and teleplay by Aaron Helbing & David Kob (#313). Original airdate 2/21/2017.